The New Refreshed Logan (oops..Verito) has been launched in India on 26th July 2012. Ideally, this is something the company should have worked upon immediately after the initial response after launch and should have been launched in 2009. A time of great opportunity then. Never the less, as all of our interests lie in knowing what the changes are, well, here it is. Please note that this is NOT the Logan/Verito CS (sub 4-meter). Infact, this one is longer than the existing one by 30mm. The spec & features are variant specific. Please refer the brochure for variant wise details. 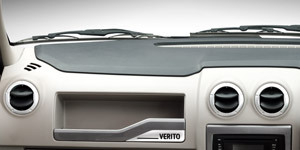 Mahindra has redesigned the Verito (Erstwhile Logan) in-house and the results are not that bad. At least compared to their other designs, especially the hideous "Mahindra-Customs". The front has a New Chrome Grill. BY chrome, I mean loads of it. Really. Not to mention, the shape of the chrome reminds me of KIA's models. They speak a similar grill language. New Headlights, New Bumper, New Fog Lamps and a New Airdam are the other changes at front. 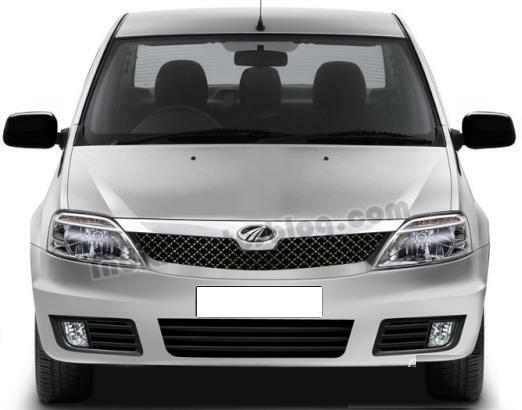 The headlights house the indicators on the top (Mahindra calls it as 'eyebrow' design) and the lower surface looks similar to the XUV. LED's? Well doesn't look so and neither does the brochure mention it. They also have "Verito" inscribed on them around the wrap-around area. The front grill is refreshing but feels a bit too aggressive for the Logan. err.. Verito. I personally would have liked to see a meshed grill on it. (see my rendered image below. Original image from www.indianautosblog.com). The Bonnet and Fenders are left untouched. And by the way, for all those of you out there who cribbed about the wipers having the wrong orientation, that’s taken care of as well. (I never really understood why those people cribbed in the first place. Just drive man! An inch is not going to kill you really). On the sides, not much has changed except the New Design Alloy Wheel. While these are not the best designs that suit the Logan,..I mean..Verito, change for the better is always welcome. The Side design is the same since Mahindra took to the reigns of the Logan (aargh... Verito) and no changes are seen here. On the rear, Tail lamps have been given a New lease of life by making it Clear-lens and adding some character lines into them. 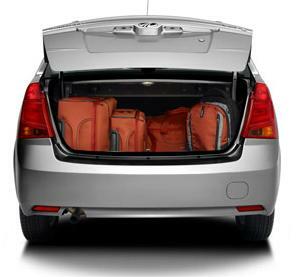 The entire boot is redesigned and gets sharp crease lines on the upper and middle area which extend into the tail lamps. These two lines look more like folds of a neatly ironed shirt and between them, house the Number/License plate. Yes, that been moved there from the bumper. All the monotony of the rear is broken with a simple swap of the plate location. It does look smart, I must say. The Rear Bumper is pretty much the same and the only changes here are inclusion of reflector inserts at either end at the bottom and the towing hook which is now a concealed. Overall, the rear is not a let-down and is acceptable for a mid-life kind of excitement. Open the doors and you will notice that familiar interior space. But, your gaze will immediately shift to the changes which cannot go unnoticed. The doors get 'PROPER' grab handles to pull and shut them. I know it looks like a tube with a suction cup stuck to the existing handles but still, they are proper grab handles. 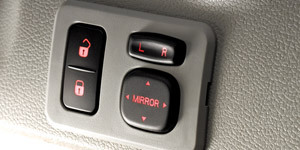 For the ergonomic-freaks, the power window switches are now placed on the door armrests and not in the center console and not behind the parking brake lever. The Dashboard is a Dual-tone affair with a black cladding at the top. This must cut the reflections to a huge extent. I believe this change was based on numerous feedbacks from customers, that the windshield always carried the glare of the Dashboard when driving which was quite irksome. The addition of the Dual-tone however seems to be an afterthought, as it is just a moulded plate mounted onto the existing dashboard. In the long run, I have doubts whether this arrangement will stay rattle free (being two different parts). In case you are wondering why they could not just make a dual tone like the others, the reason is this. The Logan's (I'm not going to correct it anymore) dashboard is a single moulded unit. A design, made to ensure minimum rattles, which can otherwise arise from various parts put together. Hence it's quite not possible to get 2 tones of colour in the same moulding. The cowl (cover) over the meter console is also redesigned and is no longer oval or circular. Instead, it now has sharp angled lines that give is some character, something that I personally correlate to the character of chrome garnish on the front grill. It looks good. The center console has been redesigned and now houses a 2DIN Audio with CD, MP3, AM/FM, USB & Aux-in. This is the same unit that is seen on the Xylo and Scorpio and comes with 4 speakers. Apart from the Audio, there are AC control knobs (a-la mixie knobs) and recirculation button (Yes. The slider is replaced with a button). Some chrome and silver touches add a little good feel to this otherwise plain area. There is a lot of space available here and Mahindra Designers have played with the curves and flowing lines in order to reduce the blandness. It is a little quirky to look at but will pass off with an "Oh-K". Central locking button has been moved to the area above the headlamp beam adjust knob (right side of steering wheel, below AC vent). This small panel also houses the buttons to Electrically adjust the Outside mirrors (only on D6). A new addition. (D4 has manual adjusting lever and D2 has no adjust lever). The bonnet release lever has also been shifted to the driver side (in place of the existing fuel-lid release lever). 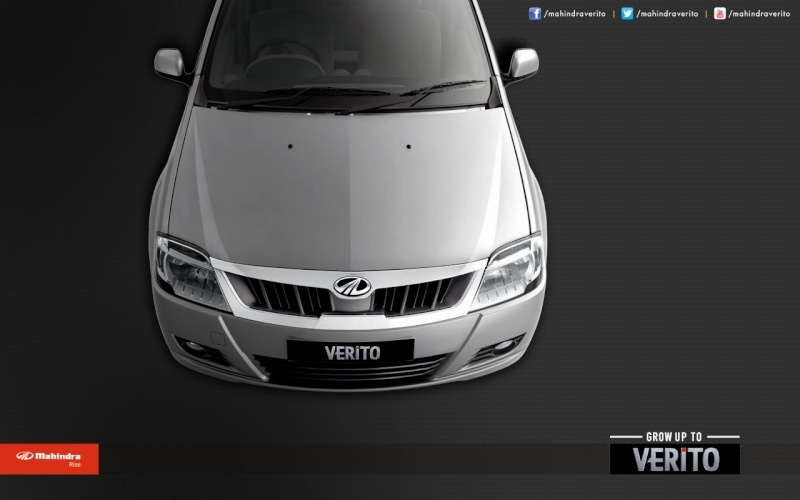 Above the Glovebox, the utility space gets a new design retainer with "Verito" badging. Something to add to the freshness. The speaker covers on the front door have been changed to some "lines" design compared to the earlier circular perforated (dotted holes) pattern. Steering wheel & column have been retained in black. Will be easy to clean and maintain even without a steering wheel cover. There aren't any changes to the seat structure and space and I believe it to be a good idea, not to mess with them. Seats get new fabric clothes though. Thankfully, Mahindra has not made any changes to the engine or the transmission. A test drive can however tell whether the clutch hardness is take care of or not. The Refreshed Logan still comes with a 1.4L Petrol and a 1.5L Diesel in the same state of power and torque as before. The suspension (the best part) also has been retained like all other mechanicals. Interior space and boot space have not been affected by the refreshed design. However, I feel that the new grab handles on the inside may foul with knees of passenger who a generously tall. Apart from that, without a personal test drive it is hard to comment. Driver Airbag and ABS with EBD. Same as before no changes. 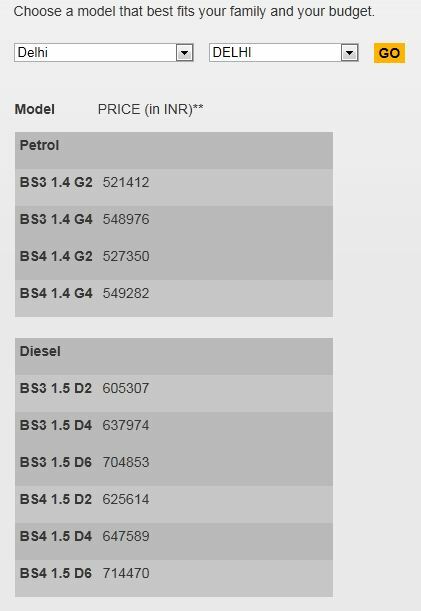 So how much more is Mahindra asking for this entire package over the previous Logan? Well it varies across the grades. The price seems reasonable to ask. It is important to note that the only 2 New features added are 1. Electrically adjustable Outside Mirrors and 2. 2DIN Audio with USB & Aux (only on D6). It remains to be seen whether the refresh will push the Verito further along and get good sales for Mahindra by fetching new personal buyers. Or, whether it will only help to sustain the current momentum of sales.